One Dad decided that the costs of Disney World wouldn’t stop him from giving his child some fun at home this Fourth of July. Youtuber, KentuckyFriedIdiot, used a wall mounted flat screen, a rollercoaster point of view video, a storage container and then added some dad strength to give his child a fun experience. Seems to be a recent trend in people starting GoFundMe pages for trips to Disney World. 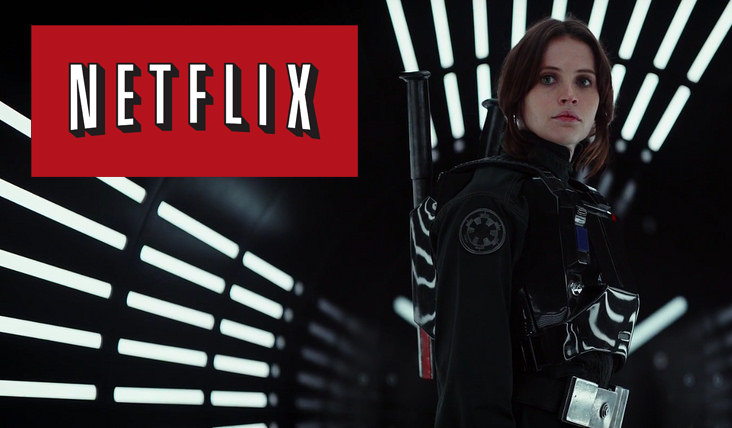 Starting on July 18, you will be able to stream Rogue One: A Star Wars Story on Netflix. This is another film a part of the Netflix-Disney partnership of releasing Disney movies on their platform. Rogue One was another box office hit for Disney, grossing $1.05B worldwide and was crowned the top grossing film of 2016. Netflix is lucky to be getting their first Star Wars live-action available to their subscribers and should help encourage new subscribers. We are looking forward to even more exciting Star Wars news that might come out of D23 Expo in July. Stay tune and may the force be with you!